The Central Bank of Yemen (CBY) on Sunday struck a deal with the US Treasury Department on the rehabilitation of Yemeni banks and punishment of violators of money laundering laws. The deal was reached at a meeting in Washington that brought together CBY Governor Hafiz Meiad and the US Treasury Assistant-secretary Erick David. The CBY and US department agreed on joint coordination to penalize violators of laws and measures combating the money laundering and terrorism funding in Yemen, and to rehabilitate Yemeni exchange firms to comply with those rules and banks to open accounts at US banks, said the CBY info center. 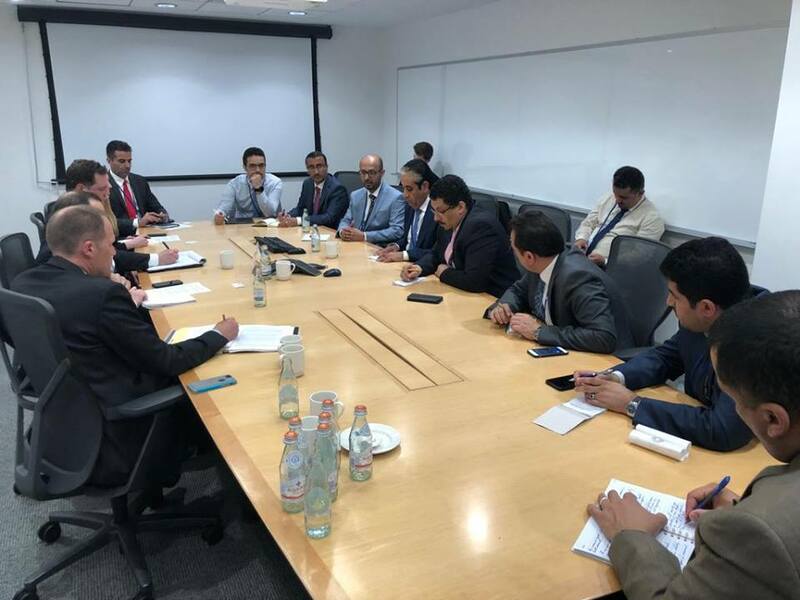 On Friday, Meiad discussed with the US Federal Bank officials ways to facilitate banking services between Yemeni and American banks so as to alleviate Yemenis' suffering, the Aden-based Saba reported. CBY governor also highlighted the need restore banking activity, from unofficial market to banking system, in order to help stabilize local currency and minimize prices of basic commodities needed by people. On March 11, the CBY issued a circular ordering exchange firms across Yemen to intensify control financial transactions, a move aimed to combat money laundering and funding terrorism and to organize transfers into the country. An exchange firm's managing director or owner should be responsible for developing and applying internal anti-money laundering and terrorism funding policies and controls, said the CBY based in Aden, seat of internationally recognized government. The CBY circular also asked exchange firms to establish a "compliance unit", with a chief at the headquarters and liaison officers at branches, to supervise application of the measures. Acts of money laundering, drugs trade and corruption have been uncovered in Yemen in the last few years. The CBY new measures come as the exchange market in Yemen has witnessed many new firms working under no permission from the CBY, following the 4-year war and resultant destabilized situation.